Trade-Show Expo Security NYC Bronx Brooklyn Queens Manhattan..
Trade-shows, expos, and events featuring high-end items, for instance, jewelry or hi-tech, signifies increase risk in security. The increased risk of exposure alone makes you a target of having your merchandise stolen. Valuable items displayed at trade-shows frequently attract theft, as they are more openly exhibited making it fairly easy for a thief to take. Alboro offer high end security solutions for trade-shows and expos of all sizes in NYC (Queens, Bronx, Brooklyn, Staten Island & Manhattan). So whether it’s a large show at the Jacob K. Javits Convention Center or a small town expo, we’ve got you covered. Having a security team on site can act as a huge preventive measure most of the time. There are times, however, when armed guards are essential such as when merchandise is being transferred or loaded into the venue or convention hall providing a great opportunity for a planned heist. Pre-event risks are not the only ones; even during the event, there is much to contemplate. Distracted exhibitors are a definite concern, conversations with exhibitor attendees, potential clients, VIP current clients are all legitimate distractions. Not only that, a well-planned theft may often include teams, where one member is charged with distracting the exhibitor and the other carefully steal the desired item. It just isn’t reasonable to expect them to have their focus on the merchandise the entire time. Obtaining qualified security on site means, peace of mind for vendors as there is no need to worry about their merchandise. For event organizers and venue owners, this is a great selling point as the status of an event organizer or venue can be irreparably damaged by a serious theft. All in all, having security on site means those attending and exhibiting are safe and secure from potential threats. 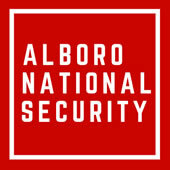 It’s important for us at Alboro National Security to provide superior security. We work with both vendors and organizers ensuring the safety of anyone attending your event. Our professional security staff is trained to handle an array of situations. Regardless of whether you need unarmed or armed security, you are guaranteed professional and polite guards. We have 30-years of experience delivering high-quality security throughout the New York City area. Whatever your event needs, our objective is to provide it; be it gate attendants, traffic management, private transport, or ushers – if you need it, we will deliver. Let us take the stress of taking care of security so you can focus on your event. Avoid the risk, and hire a highly trained, skilled and, qualified security staff from Alboro National Security.